Every website needed to be maintained at some point, there is the need to do maintenance, of the site or just a portion of a site. 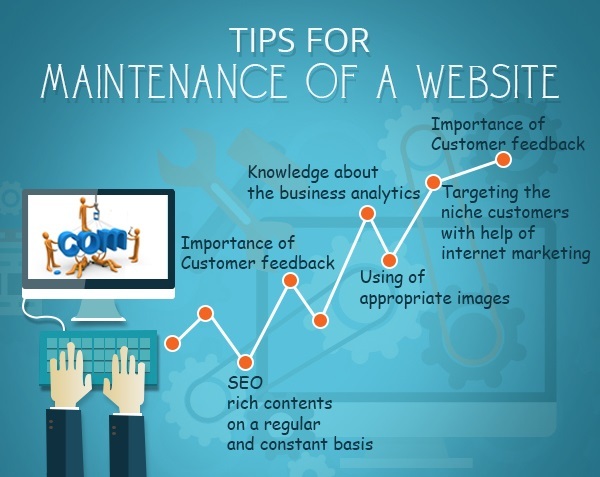 There is the need to keep the maintenance page simple so that steps could be taken at every point, however, if the site is maintained then the visitors will be happy and enjoy search on it, there can be a maximum number of the visitors. Cite can be maintained through the WordPress management system, there is the need to monitor the site timely and need to notice the performance issues, the number or customer support need to be given on the website. The website should fully customizable, there is the need to change the color, background, text etc. so that the customers can be attracted (Smashing Magazine, 2015). One need to be updated about the website, there should be real-time security and need to arrange the backups, so must be helpful in the future. The website needs to be the check on the daily basis, there is the need to monitor the site. However, there is the need to maintain the existence content, to prepare for the future, there is the need to make the plans or strategies so the customers may be attracted, designer, developer, editor, need to be contacted on timely, so that the changes and affectivity can be there. Data collection and data analysis are also important to maintain, as missing content like images are needed to be focused, the size of the page need to be noticed, it should be not large nor small (Jin & Lin, 2012). Customer feedbacks can play an important role, in knowing about the status of the website and to know about that how other perceives the site, however, there is the need to provide the email or number on the page so that the customers can easily contact. The social media icons should be noticed, there should be the focus on the responsive designs so the customers can be attracted and they can realize that the company or website really cares (Jin & Lin, 2012). There are various ways, through which the clients can be contacted, example, e-mail, chat, post, satisfaction rating, instant message, telephone etc. The feedback should be collected and then investigation and follow-up, with the customers should be there. Jin, D., & Lin, S. (2012). Advances in Future Computer and Control Systems, Volume 1. Springer Science & Business Media. Smashing Magazine. (2015). WordPress Maintenance: Keeping Your Website Safe And Efficient. Smashing Magazine.